To Simon. We would both like to thank you for your services on the night of our wedding 25th September 2010. You did a brilliant job and everyone really enjoyed the music you played. Thank you also for playing so many from our request list. With thanks from Nikki and Martin. Hi Simon, just wanted to thank you for everything at mine and Paul's wedding...everyone had a wonderful time...the music and entertainment was fantastic!!! I will be recommending you to anyone and everyone. Many thanks - Lisa. To Simon. Thanks for the music on our special day. We had an amazing day which was topped off with everyone dancing to your selection until the very end. Everyone had a great time. Your work was very much appreciated. Many thanks Stephen & Candy. Welcome to the website for Stardust Wedding Disco/DJ in Warwickshire. 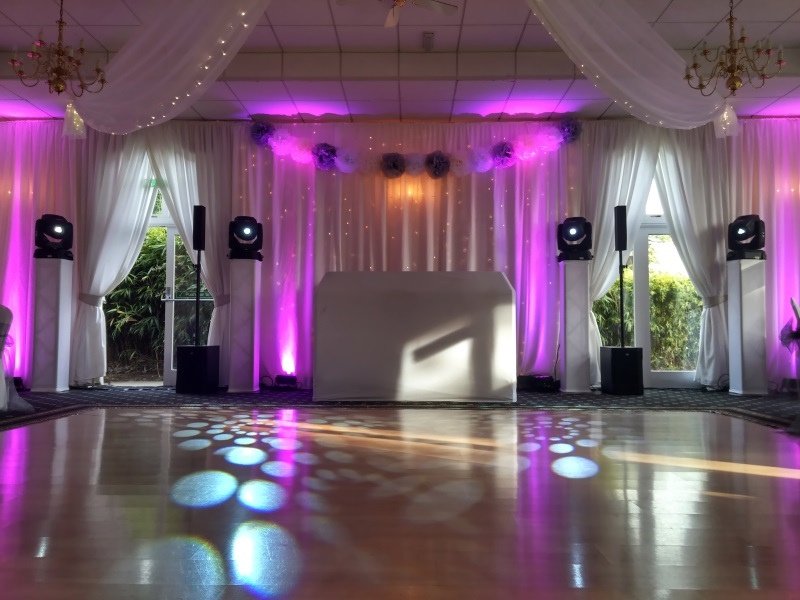 Professional full time wedding and event DJ offering quality wedding disco, video disco, photo slideshow and venue mood lighting/ LED uplighting services for your wedding or event in Warwickshire and throughout the UK. Professional full time experienced wedding and event DJ established since 1998. I offer a friendly service with unlimitted planning and communication. I offer a personal service, when you book me, it is me that will be your wedding/event DJ. I am always suitably dressed to blend in at your wedding or event. I confirm all bookings in writing with a booking contract. I only use professional grade sound and lighting equipment with a valid PAT certificate. I carry backup of all major equipment. I am fully insured with £5 million PLI. I only use legally purchased music. I can provide various sizes of wedding disco to fit in with your choice of venue in Warwickshire. 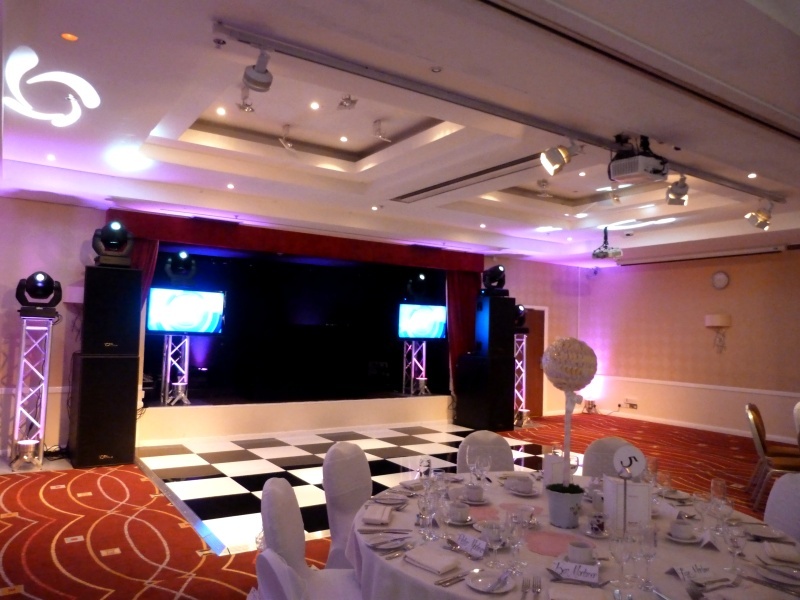 All wedding disco setups include DJ booth, computer controlled intelligent lightshow, quality sound system and uplighting behind the mobile disco setup. As an optional addition to the wedding disco service I also offer a video disco and photo slideshow service with the addition of TV screens which are used to display any combination of music videos, visualizations and photos in a slideshow. 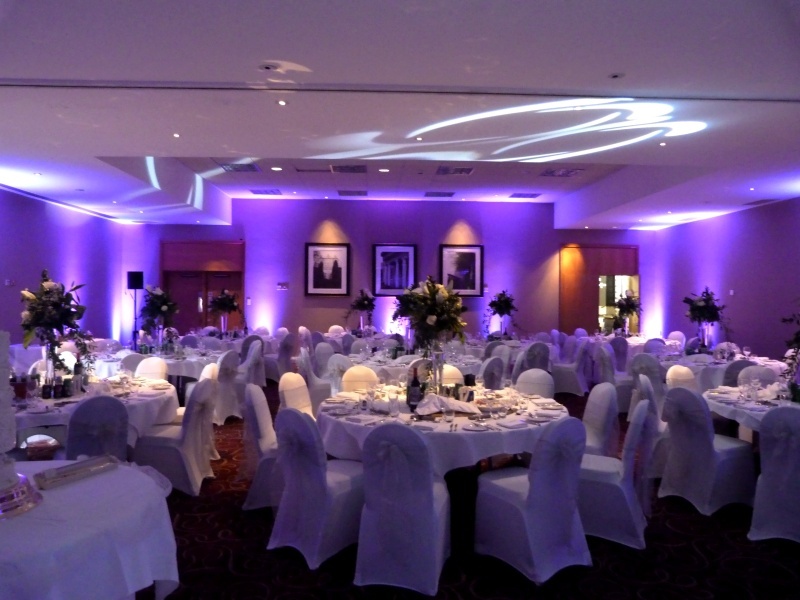 The venue mood lighting / LED uplighting service uses strategically placed LED uplighters placed around the perimeter of the function room to uplight the venue walls and features in a color (or colors) of your choice to compliment your chosen color scheme.